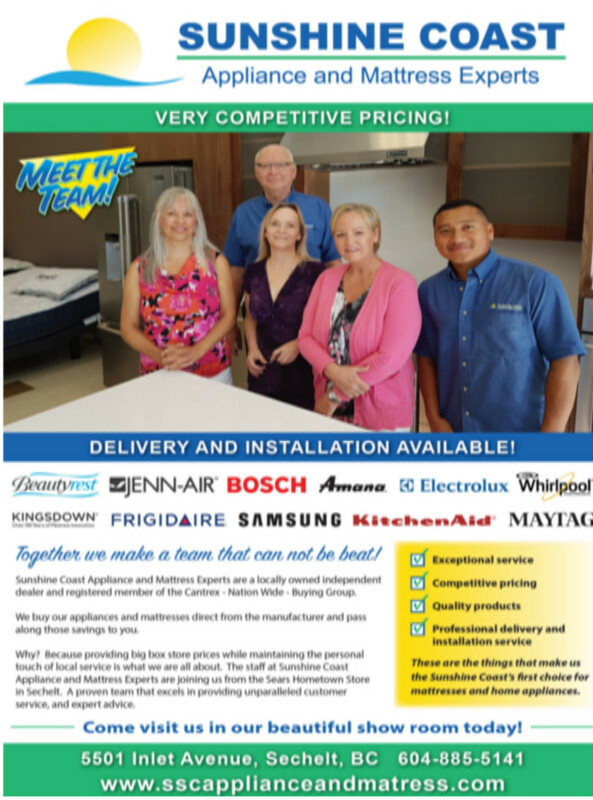 Sunshine Coast Appliance and Mattress Experts are a locally owned independent dealer and registered member of the Cantrex - Nation Wide - Buying Group. Our appliance experts are here to help you find what you need, when you need it. At Sunshine Coast Appliance and Mattress Experts, our goal is to be the first choice for home appliances with ALL Sunshine Coast contractors and designers. We will reach that goal by consistantly providing a great selection of quality products at competitive prices, by working together with an eye to accuracy, reliability and follow-up support. Together we make a team that can not be beat! To give you the perfect appliance to fit your space, lifestyle and budget!